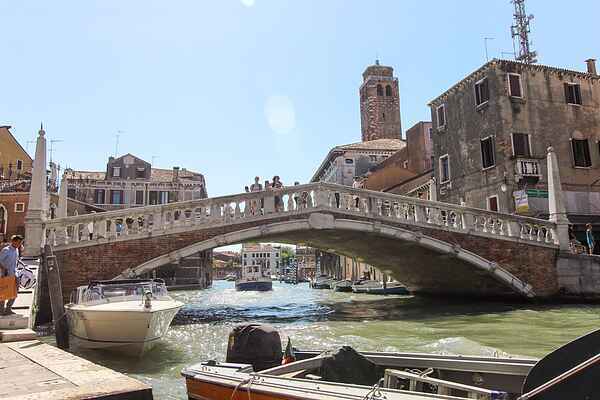 Nice holiday apartment in the centre of Venice. The property is ideally located for visitors arriving in Venice: just 10 minutes from Piazzale Roma (bus Terminal), approximately a 5-minute walk from the "Venezia Santa Lucia" train station and a few steps from the "Guglie" ferry stop (where the airport shuttle also stops). Recently restored, this holiday accommodation is located on the first floor of a building consisting of several apartments and offers new and modern furniture. The holiday apartment has two small balconies overlooking the street below (known as "calle" in the Venetian dialect).